In order to easily stream the Olympics, you’ll need apps (see links below) and a current cable subscription. If you don’t have a cable subscription you can, if you want, resort to added steps to stream the Olympics. If all feels lost, take heart, you can resort to the non-streamable method: the antenna. NBC has an exclusive contract for airing the Olympics so you have to deal with any restrictions NBC has put into place. The Olympics will include 4500 total hours of sports content broadcast on NBC, NBCSN and across the networks of NBC Universal. 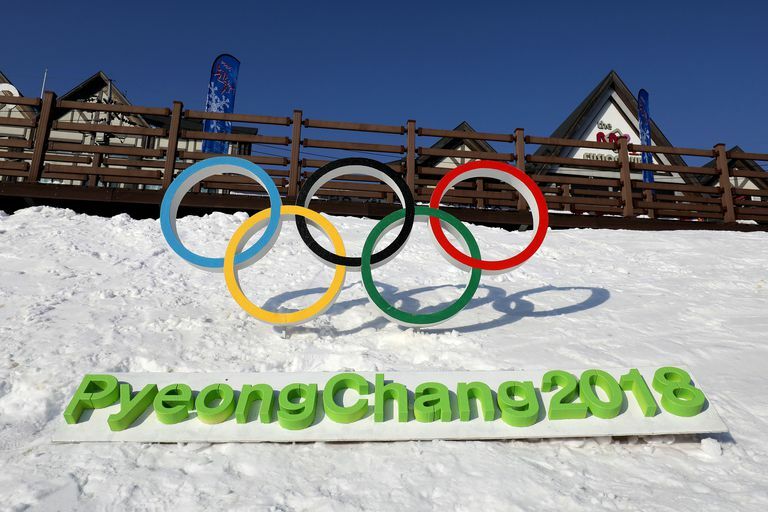 You can access this content through NBCOlympics.com, your cable television provider (that is, plain old cable TV), or on the NBC Sports app on any mobile device. Registering for the apps is easy, but you do need to enter your cable subscriber email and password if you have one. If network options aren't the right choice for you - they do offer limitations, and many of us have cut the cord and gone cable free - you can still stream Olympics events through Internet TV providers. Most of those providers also offer a free trial, so if you don't already subscribe to an Internet TV service, you might still be able to get at least portions of the Olympics for free. The longest trial version is available from YouTube TV, but you can also access trial versions from Hulu Live TV, Sling TV, PlayStation Vue and Fubo TV, and DirectTV Now. If going through a cable provide for NBC's Olympics stream isn't another option for you, you still have choices. One of those is to use a VPN from another country. A VPN or Virtual Private Network allows you to hide where you are located. So, if you chose a country where the streaming rights are less controlled than in the U.S., you’ll be able to get a stream of the Olympics and also get that stream for no cost (other than what the VPN charges). Setting up a VPN might sound a little intimidating, but it’s not. Services like TunnelBear and StrongVPN are easier to use than you might think, so they are worth investigating to see if they’ll meet your needs. There are also several others you can use. If you’d like to learn a little more about VPNs, check out this article on the basics of VPN. The cost catch: By and large, access to VPNs is not free. Yes, you can obtain some access during free trials but eventually, you'll need to register and pay. Those that do charge a fee, however, are usually less expensive than what it would cost you to have even a single month's access to cable or other television providers. So, while using a virtual private network won't be completely free, it's still a good choice for low-cost streaming of the Olympics. If cable TV is a no-go, and you don’t want to bother with VPNs, your last option to see the Olympics won’t allow you to stream it. That option is an antenna. Before you go shopping for an antenna, take a look around your home or apartment building. Why? Maybe there’s already an antenna in place. Old homes and apartment buildings might already have the antenna and cables in place, so it’s worth checking out. There is one caveat with using an antenna. You probably won't get all of the winter Olympic sporting events. There are a few events, like the opening and closing ceremonies (which will take place in Pyeongchang, South Korea, in 2018) that will be shown exclusively on NBC network channels. But you can get most of the events, including the main events, which are often the most popular.